Organic vegetables from the Khmer Organic Cooperative. 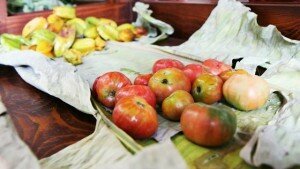 Organic products are in higher demand in Cambodia although they do not look as nice as the chemical coated produces. “Japanese bitter gourd and purple maize are most popular. Customers also ask for organic carrots, cucumber, onions and passion fruit, but they are under supply,” she said. Visitors to the KOC include Khmers and foreigners. 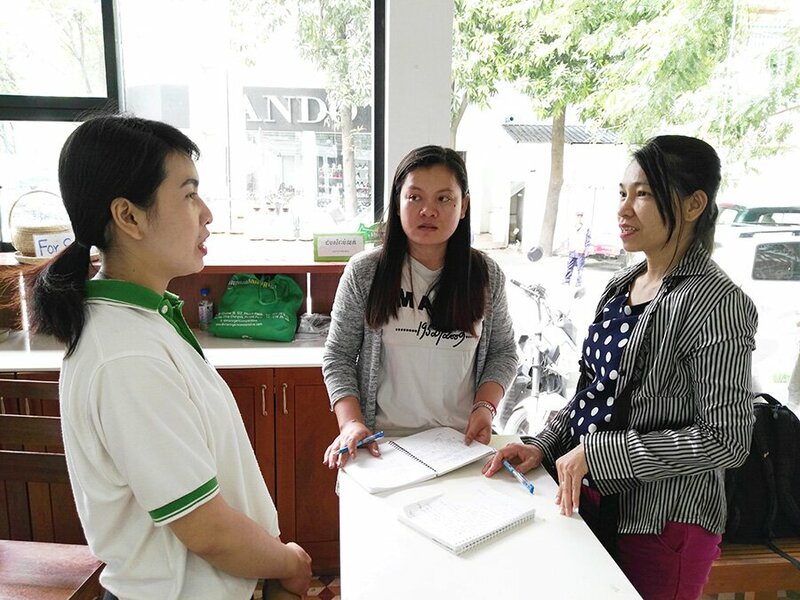 Usually, the Khmer customers come to buy fresh vegetable and fruit while the foreign customers shop for organic ingredients such as pepper and sugar palm, according to Ms. Sophea. Ms. Sophea (right) on her duty and project staff of Improvement of Livelihood and Food Security of Landless and Land-Poor Households. More than 100 types of products including fruit tree, leafy vegetables, tubers and other processed products and ingredients are offered at the shop. The major sources for the fresh produces come from KOC farms and contracted farmers. Ms. Sophea said the KOC customers love the organic products because of its taste and benefits to health. “Customers say it is tastier and they feel safe when eating,” said the shop assistant. 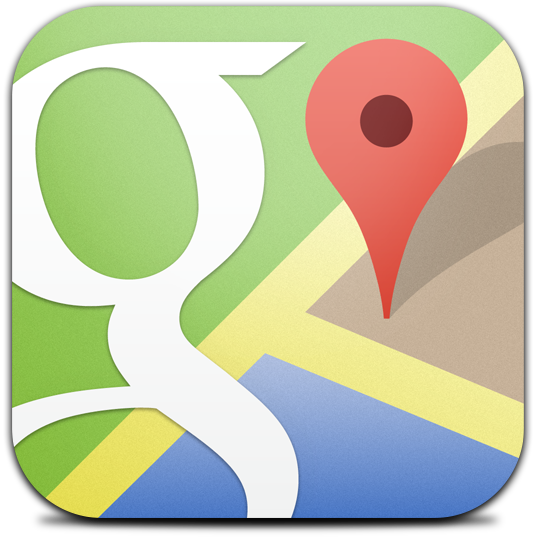 However, the customers complain about the price which is two to three times higher than the general market. 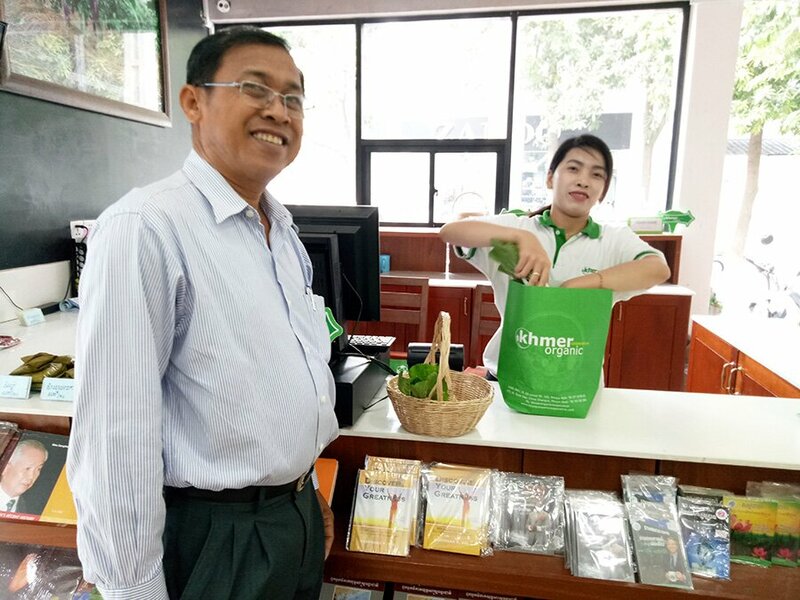 Currently, there are two KOC shops in Cambodia, one in the suburb Chruoy Changva and the other in the central city of Phnom Penh. KOC is a sister of Eco-Agri Co. Ltd (EAC) which is a joint initiative of GIZ Cambodia through ASEAN Sustainable Agrifood Systems (ASEAN SAS) project. EAC is the agricultural input supplier. It sells seeds, local produced Biocontrol Agents and bio-fertilizer. And, soon it will import biological pest control solutions from ASEAN Member States to Cambodia. At present, KOC buys agricultural produces from farmer groups who are connected through EAC. 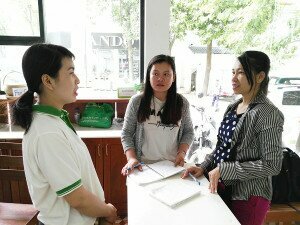 This story is based solely on an interview with Ms. Seng Sophea, the Khmer Organic Cooperative shop assistant. It is part of an activity in a workshop ‘Impact Story Writing and Basic Photography’ for project staff of Improvement of Livelihood and Food Security of Landless and Land-Poor Households, ASEAN Sustainable Agrifood Systems (ASEAN SAS), and their partner, Khmer Organic Cooperative. 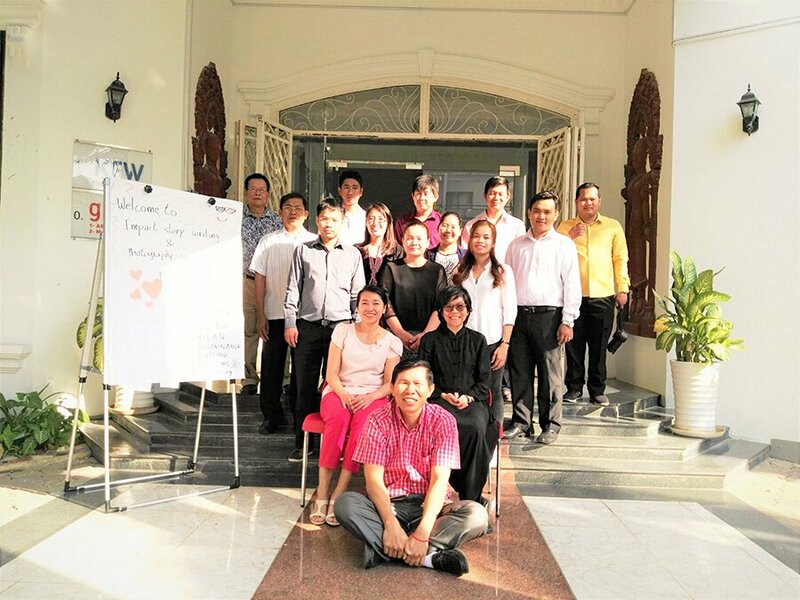 The workshop was conducted in Phnom Penh, Cambodia from 14-17 February 2017 and attended by 14 attendees. ASEAN SAS Communication Officer provided the training. The story and its photos are the outcome of the workshop. By Chhet Socheata, Keat Pengkun, Khann Kanha, and Sok Lina, Improvement of Livelihood and Food Security of Landless and Land-Poor Households and Rojana Manowalailao, ASEAN Sustainable Agrifood Systems. The shop assistant is being interviewed by project staff of Improvement of Livelihood and Food Security of Landless and Land-Poor Households. Group picture after a training. 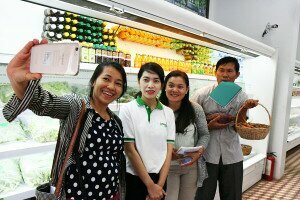 Improvement of Livelihood and Food Security of Landless and Land-Poor Households project staff taking photo with Ms. Seng Sophea, the shop assistant (second from the front) on the interview day.